With little wind this morning I took the opportunity to lift the tarpaulin onto the roof of Waiouru and expose her sides. 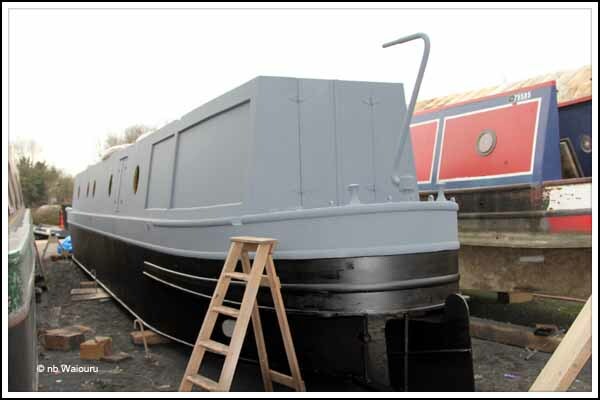 After sweeping them I managed to apply a second coat of primer. Waiouru is almost back to the condition she would have been when she left Tim Tyler’s yard. 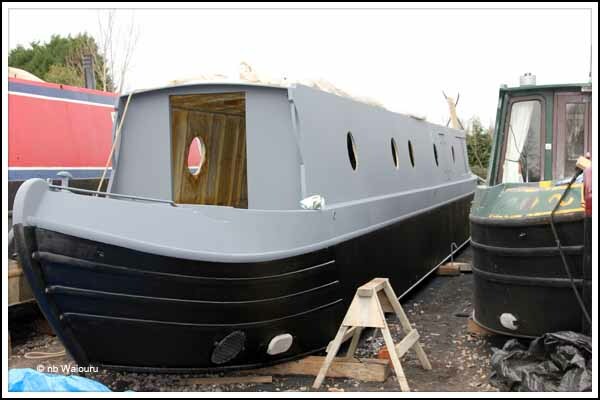 We’re waiting on the spray foam contractor to repair the insulation and will then be able to fit the portholes and houdini hatches which are due to be delivered this week. I must remember to get the tarpaulin back over her before it gets dark. Tom & Jan, I know this isn't quite the way you imagined the start of your life with nb Waiouru. 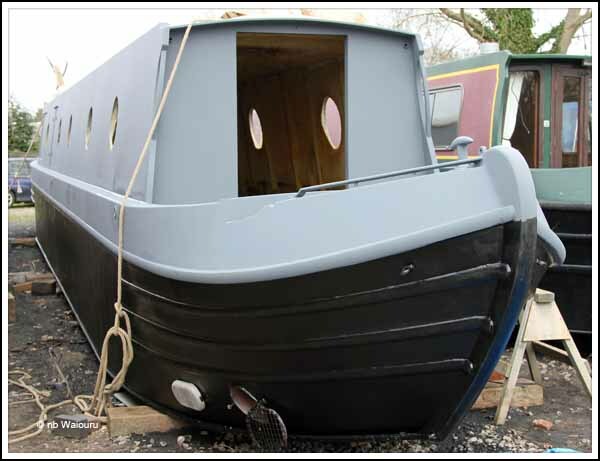 I'm thinking you had an image in mind of moving aboard a perfectly finished boat once you arrived in the UK. But this is me and my "trying to always look at the positive side".... and I'm thinking you'll be feeling a real sense of accomplishment when the day comes to be moving aboard. Hope that will go a small way towards wiping out some of the bad feeling over the whole Ben Harp thing. I like your positive attitude Tom/Jan.